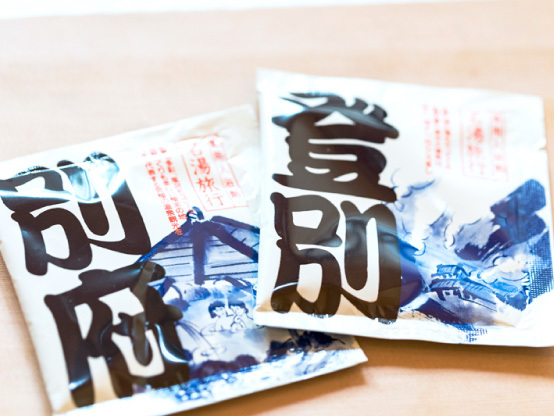 About Japanese “Ofuro” and bath salt | Goshu Yakuhin Co.,Ltd. 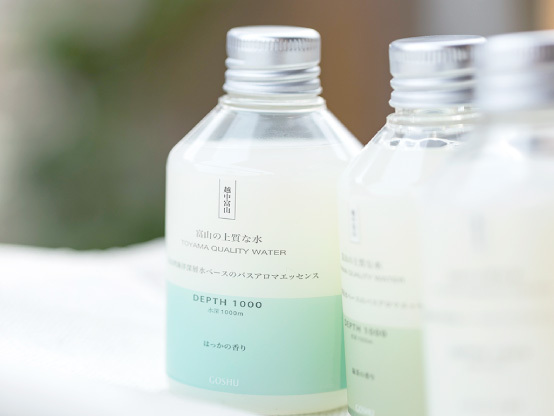 Goshu is founded in 1947 and launched bath additives as the very first Goshu product. As everyone knows, soaking the body in a hot spring is one of the secret of longevity among Japanese people. Bathing is not only for washing dirt, also releasing fatigue of the day from mind and body. Japanese bath additive is to recreate the feeling and effect of hot spring in the bathtub, to support everyone’s beauty and health. Stimulate and activate the sympathetic nervous system. By the working of parasympathetic nervous system, calm the mood. Water pressure on the abdomen reduces lung capacity and reduces air volume. In order to compensate the reduced air, the respiration rate and heartbeat increase, which then improves blood circulation of the whole body. Due to the buoyant of water, the body becomes lighter and that makes one feel relieved, relaxes both mentally and physically. Japan is blessed with many hot springs, there has been a long tradition of "To-ji, therapeutic bathing" to sit in a hot spring to cure illness and injuries. Bathing agent was produced in order to enjoy the effects of such hot springs and medicated baths easily. Since details of efficacy are written on the packages, you can use them according to your purpose and physical conditions. You can also choose your favorite color and scent to relax. Here are ingredients and effects of our major 6 bath additives manufactured by Goshu. The bonding of salts and proteins of the skin forms a layer on the surface of skin to prevent the dissipation of heat/water from the body. The bonding of salts and proteins of the skin forms a layer on the surface of skin to prevent the dissipation of heat from the body. 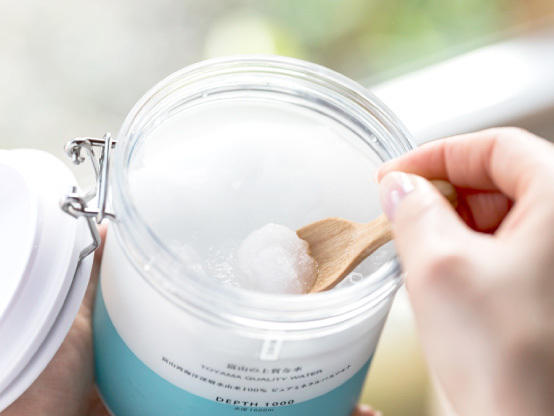 Therefore, keeping the body warm after bath is the biggest characteristic of this type of bath salt. Effect of this type of bath salt depends on the herb used. 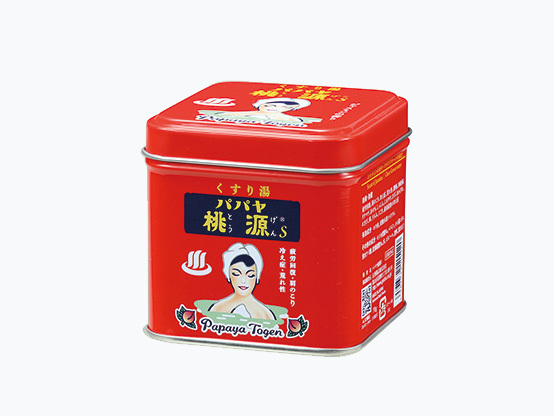 Besides, components contained in the herb give unique aroma. Herbs have been proved to be effective as medicine which is also praised in Japan as well as western countries. Besides, “aromatherapy” is getting attention and has been studied in research. It has been proved that the aroma is effective in relaxation by the brain waves and autonomic nerves measurements. Enzyme cleanses without irritating the skin. 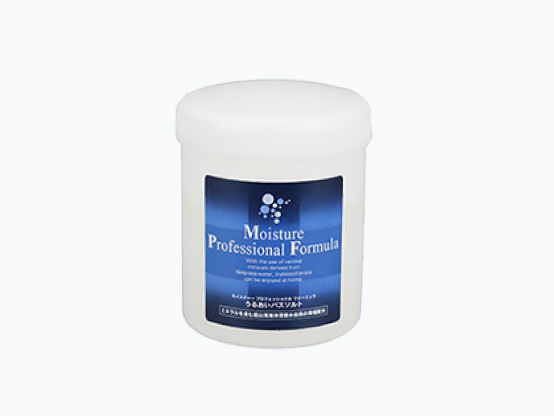 Enzyme is usually mixed with mineral salts to enhance cleaning effect. This type of bath salt gives clean and smooth feeling of skin after bathing. This type of bath salt is mainly formulated by I-menthol to impart a sense of cooling. Therefore, is granted a refreshing feeling to the skin after bathing. 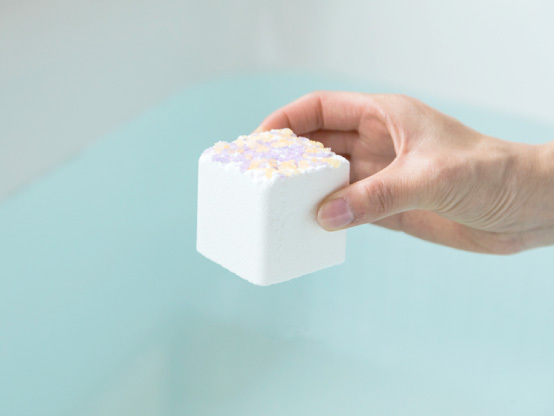 This type of bath salt allows moisturizing ingredients to absorb into the skin for skin care.